Have you ever been reaching for your usual dumbbells at the gym and wondered what that medieval-esque, cannonball-with-a-handle thing is? More importantly, what does a person even do with it? 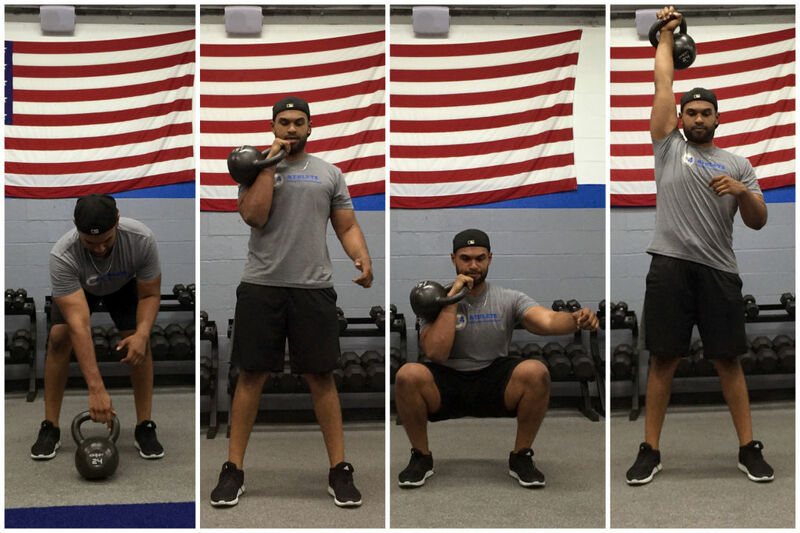 Allow us to introduce you to the kettlebell. 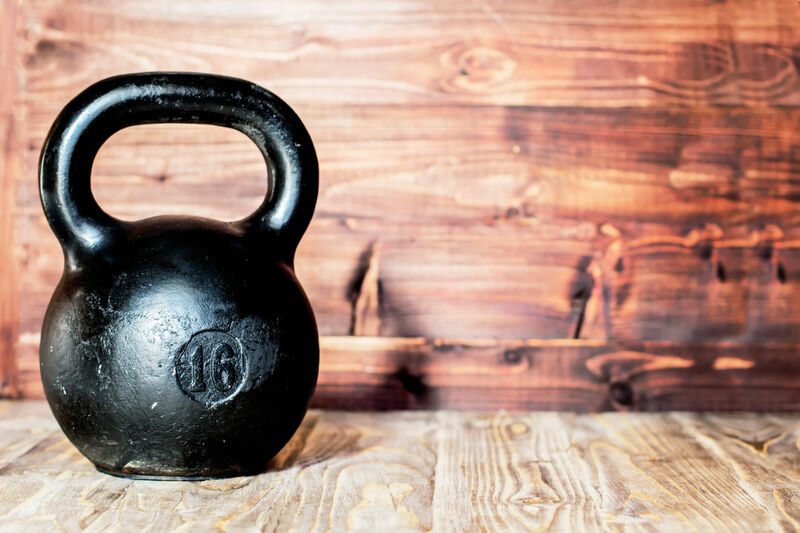 Although it is often one of the most overlooked and unassuming tools at the gym, the kettlebell is a powerful tool that can combine cardio and strength training while challenging the entire body with functional movements. This killer combination is what makes kettlebell training so fast and efficient; just 20 minutes a day is enough to make a difference. Edward Bryan, a personal trainer and “Kettlebell King” at Heights gym C4 Athlete, is a huge advocate, and rightly so—he’s lost over 160 lbs with the kettlebell as his primary tool. Now lean and muscular, he coaches a 60-minute all-kettlebell class twice a week, and regularly incorporates it into his clients’ personal training sessions. 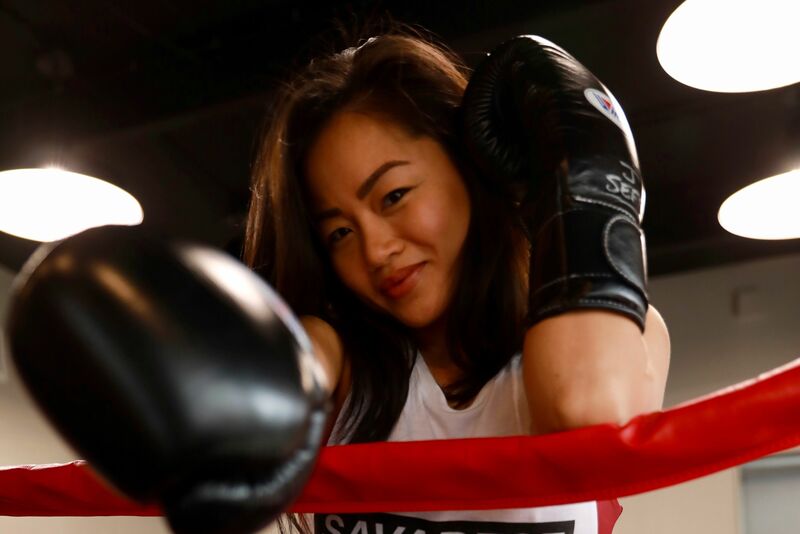 “It takes skill and practice to get the form right, but once you do it’s the best exercise on earth,” says Bryan. 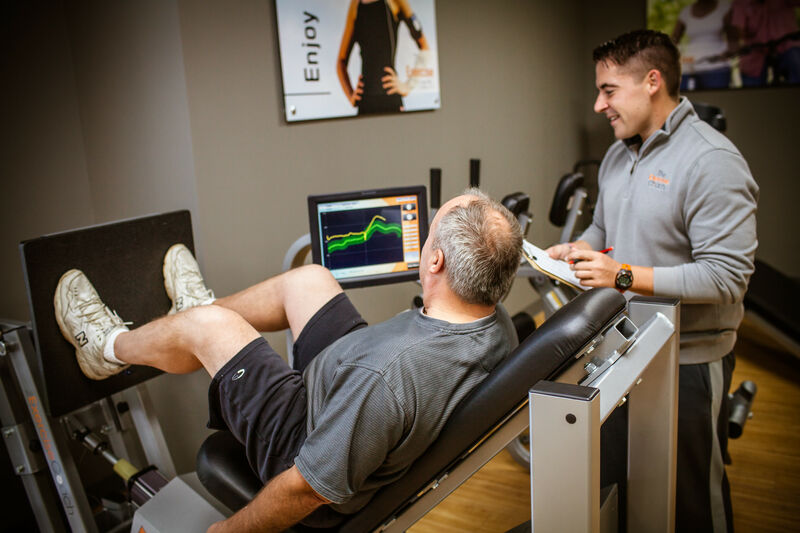 To avoid injury, he recommends starting with a lighter weight range until the movements feel comfortable and fluid. We asked him to show us six of his favorite moves for those looking to try it out or get new ideas. What: A classic exercise to combine cardio and strength training (glutes and hamstrings). How: Start with your feet hip-width apart with the kettlebell on the ground one foot in front of your feet. Grab the handle with both hands, starting the swing to the back first, and then smoothly upward to chin level, squeezing the glutes during the movement for maximum results. Without putting the weight down, continue to swing it like a pendulum in one fluid motion. Aim for 12 swings. 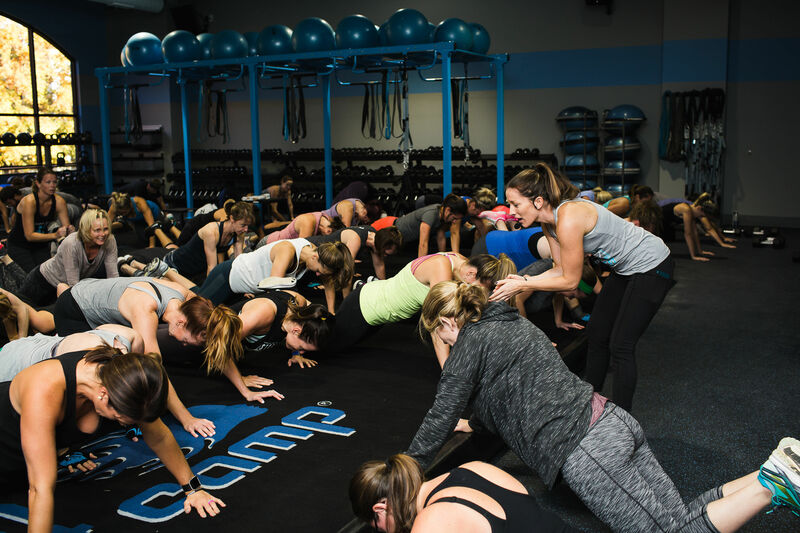 Notes on form: Keep the back flat, arms straight, and shoulders down and back throughout the entire movement. Keep the legs straight with a very slight bend in the knees. What: A good base skill that involves the hamstrings and shoulder/back muscles. 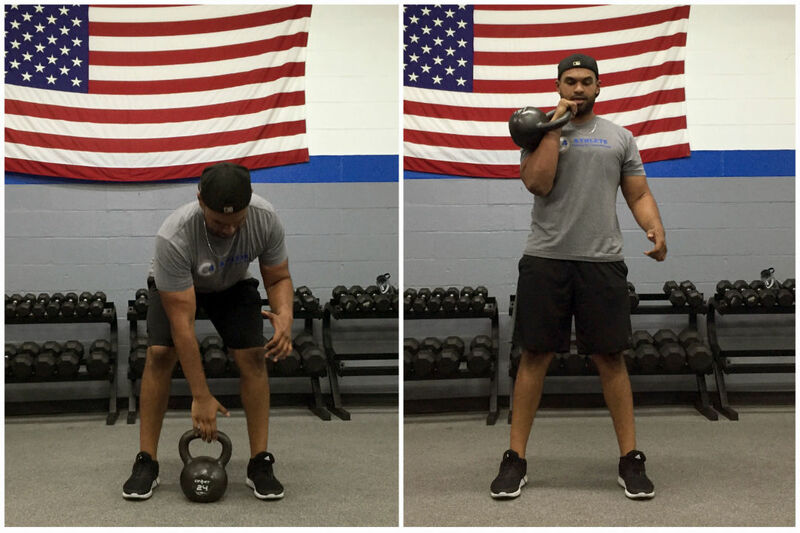 How: Start with your feet hip-width apart with the kettlebell on the ground between your feet. 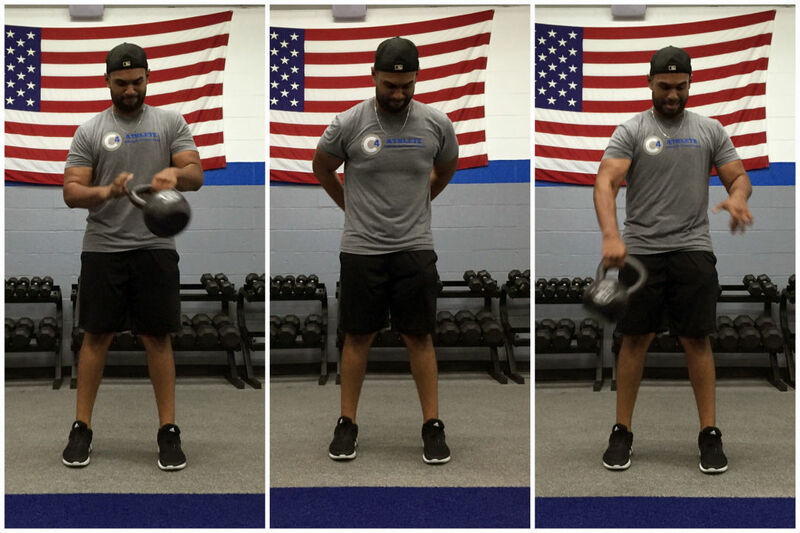 Grab the handle with one hand, rotating the wrist as you “rack” the kettlebell at chin level. Aim for six repetitions per arm. Notes on form: Keep the back flat and the chest puffed forward while bending. Keep the legs straight with a slight bend in the knees. What: A compound full body movement that adds a squat and an arm press onto a dead clean. This is great cardio if the movements are strung together in quick succession. How: Start with your feet hip-width apart with the kettlebell on the ground between your feet. Grab the handle with one hand, rotating the wrist as you “rack” the kettlebell at chin level. 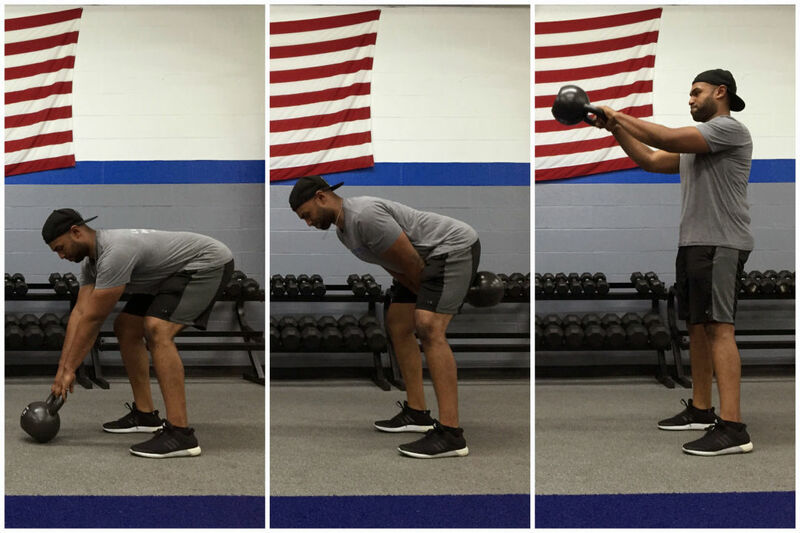 Keeping the kettlebell in position, drop into a squat, then immediately explode up to standing, utilizing the upward momentum to extend your arm above your head. This should be one big movement with no breaks in between the positions. Aim for six repetitions per side. Notes on form: Keep the back flat and the chest puffed forward while bending or squatting. Keep the hips pressed back so that the knees do not extend past the toes during the squat. What: A good way to warm up the body, challenge core stability muscles, and improve grip strength. How: Start with your feet hip-width apart, holding the kettlebell with both hands in front of your body. Release one hand and begin to move the kettlebell in a smooth circular motion around your body, transferring hands at the midline and keeping your core tight. Try six rotations clockwise, and then switch directions and repeat. Notes on form: Keep the legs straight with a very slight bend in the knees. 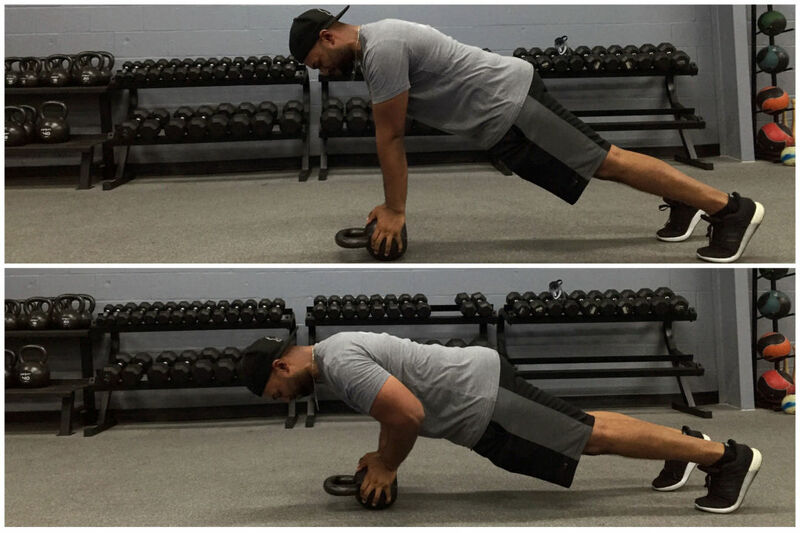 What: A challenging push-up variation with some serious tricep burn. How: Place the kettlebell on the ground on its side. Assume a push-up position with both hands on the kettlebell, and take a few seconds to ensure you feel balanced. Slowly lower down until your elbows are at 90 degrees, trying to keep the weight stable. Press back to the top. Try to repeat 12 times. Notes on form: Keep the body in a straight line from head to toe, and your elbows close to your ribs. Dropping the knees is a great way to scale this movement if it’s too difficult. What: A great way to mix up the classic lunge. Builds quadriceps, hamstrings, glutes, and stabilizing core muscles. 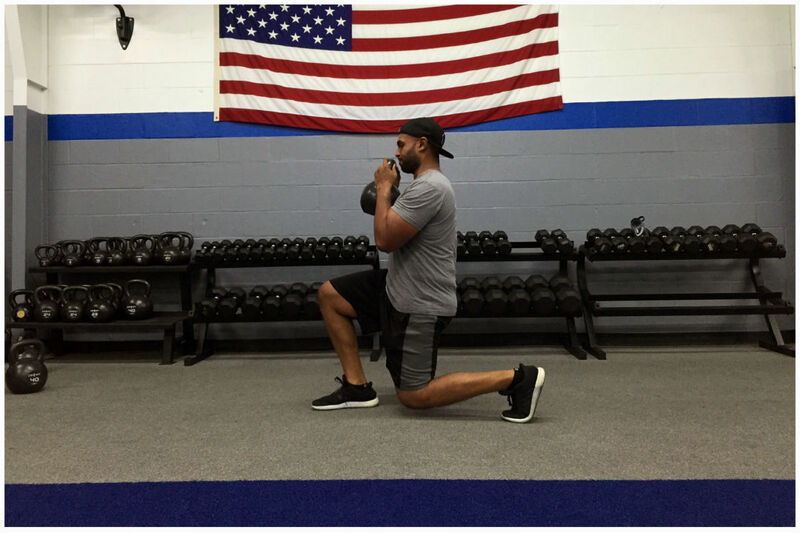 How: Start from standing, holding the kettlebell at shoulder level. Step one foot forward, bending at both knees until they reach 90 degrees, while maintaining an upright trunk. Push back to standing, keeping most of the body weight in the heel of the front foot for maximum glute and hamstring activation. Repeat on the other side, alternating legs until you reach 24 total repetitions. Notes on form: Keep the shoulders in line with the hips to protect the back, and never let the leading knee cross past the toe while lunging.